One year after Sgt. Pepper’s Lonely Hearts Club Band marked psychedelic rock’s pinnacle amidst the salubrious flower power vibes of 1967’s Summer of Love, some would argue that a little known five-piece from Hertfordshire had made an album to rival the Fab Four’s psychedelic masterpiece. The Zombies’ Odessey and Oracle is a harmony-laden, baroque pop tour de force and a criminally overlooked record that remains one of the most glistening gems lost within the woozy upheaval of the 1960s. Captured in a rushed atmosphere of tight deadlines and even tighter budgetary restraints, no outtakes or unused songs were recorded during sessions for the album and songwriters Rod Argent and Chris White personally had to pay for the record’s stereo mixes. 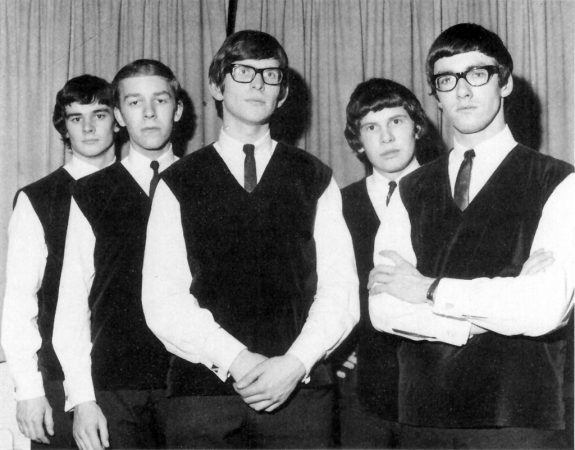 At the album’s completion, disillusionment and bad tempers saw morale reach a nadir and by the time of its release in April 1968, The Zombies had already disbanded a full four months prior. Odessey and Oracle sold poorly and thus began its humble life of unjust obscurity. ‘This Will Be Our Year’, a lovely piano driven piece of melodic sentimentality written by White, is one of the album’s outstanding tracks. Tagged scott hammond, the zombies, this will be our year, throwback thursday. Bookmark the permalink.